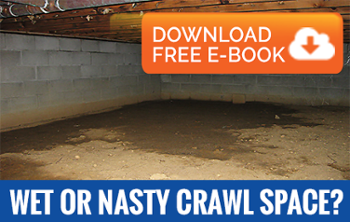 Crawlspace moisture is all too common in many homes, especially those with exposed dirt floors. The earth below your home or business can become moist, and when that moisture evaporates in your crawlspace it can quickly lead to humid conditions, condensation and mold growth. AdvantaClean offers a number of solutions to combat crawlspace moisture. The process begins with an accurate assessment, during which our professionals will thoroughly analyze your crawlspace situation to determine the true source of your issues. After that we will develop a customized solution based on your unique situation.